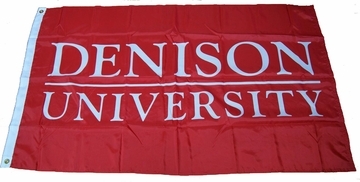 This Denison University flag remains the presidents first choice when it comes to spirit gear. It is slightly larger than most mail-box flags- better to show the school spirit from farther away (measuring at four feet by six feet). 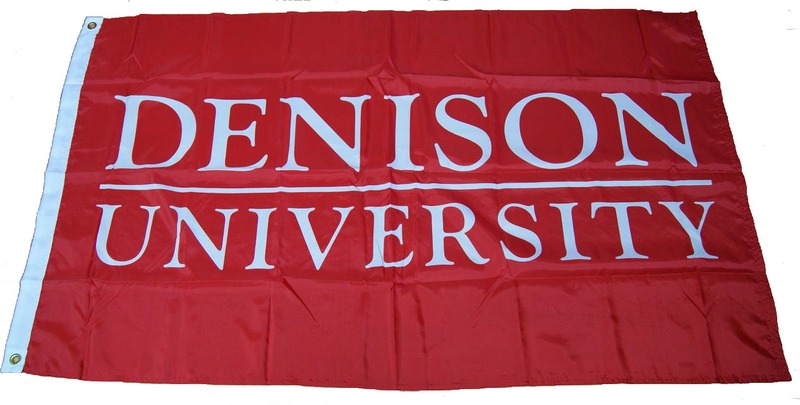 Whether to wave at a game, to hang up inside a students dorm room, or to hang outside your house to support your student from far away, this flag is weather-proof and can wave in almost any conditions (just make sure it is tied securely). It also makes it really easy to clean. There are two eyelets along the left border hem so you can tie your flag to almost anything. You cannot go wrong with a flag as either a gift or a decoration. Go Big Red!